If you’re in the UK, it’s starting to get cold outside and dark at an unreasonable hour. 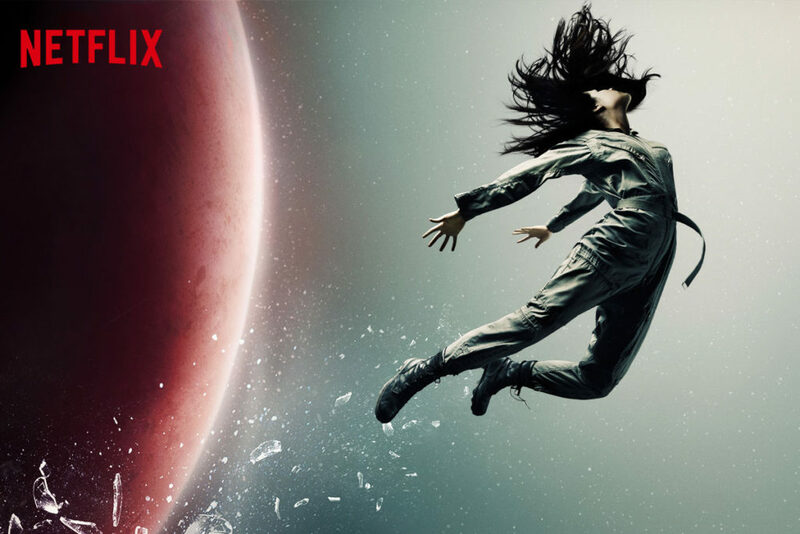 Luckily, now that The Expanse is on Netflix, there is no reason to venture outside and every reason to stay in and watch all ten episodes of season one this weekend. Starring Thomas Jane, Steven Strait, Dominique Tipper, Cas Anvar, Wes Chatham, Florence Faivre, Jonathan Banks, Paulo Costanzo and Jay Hernandez, the drama has been hailed as ‘the most ambitious series in SyFy history’. Syfy has already renewed the series for a second season, which is set to premiere in the US in 2017 and via Netflix in the UK shortly after. In more exciting James S. A. Corey news, the new novel Babylon’s Ashes is available to pre-order now ahead of its December release in hardback and ebook. Watch The Expanse now. US viewers will be able to watch the first season this December via Amazon Prime!